Marks Company, Inc., DBA Marks Electrical and Plumbing Supply, was formed in 1989 by the Marks family. Operations were established at their warehouse in downtown Springdale with a strong focus on the residential market. The company's philosophy of competitive pricing and superior customer service translated into strong sales growth over the next few years. To meet the increasing demand and expand its market presence, Marks Company added a second location on west Hudson Road in Rogers, AR in 1995. This established Marks Company in the northern Benton County area. A new Springdale facility was constructed in 2001 along north business highway 71. This enabled Marks Company to better serve and expand their existing customer base in Washington County and southern Benton County. In January 2003, Marks Company Inc. was sold to the Anderson family. 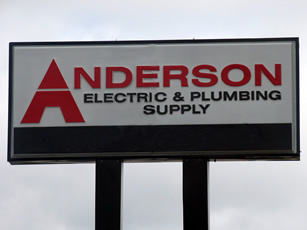 The Andersons have deep roots in Northwest Arkansas and Missouri. The Anderson family have been living in Rogers for over 40 years. They are former owners and operators of Sibley Industries Inc., one of the nation's largest manufacturers of poultry house heating equipment. Marks Company continues to successfully serve a growing customer base in the residential and small commercial market. The area Marks currently serves is in Northwest Arkansas, Southwest Missouri and Northeast Oklahoma.